Patrick James Dunagan. Ugly Duckling Presse, $10 ($8 direct from UDP) Saddle-stitched. 32 pp, 9 x 6.5 in. Das Gedichtete, a literary term coined by Walter Benjamin, refers to a sense of the idealized poem, the perfected state of poetry that what is written on the page can only signpost towards. The concept is perhaps to poetry what water is to Coca-Cola; the real thing behind 'the real thing'. In an introductory quote to Das Gedichtete, a poet named Patrick displays frustration with poetry readings as 'nobody listens & nobody knows.' Patrick James Dunagan, presumably the poet referred to, has fashioned a set of works which uncompromisingly expects its audience to know and care about the literary theory behind its pages. This book is written by a 'lifer in the guild' of poetry primarily for other lifers in the guild. In the main, the collection is abstract, staccato, and opaque. However, the more the poems embody these attributes, the more successful and convincing they are. 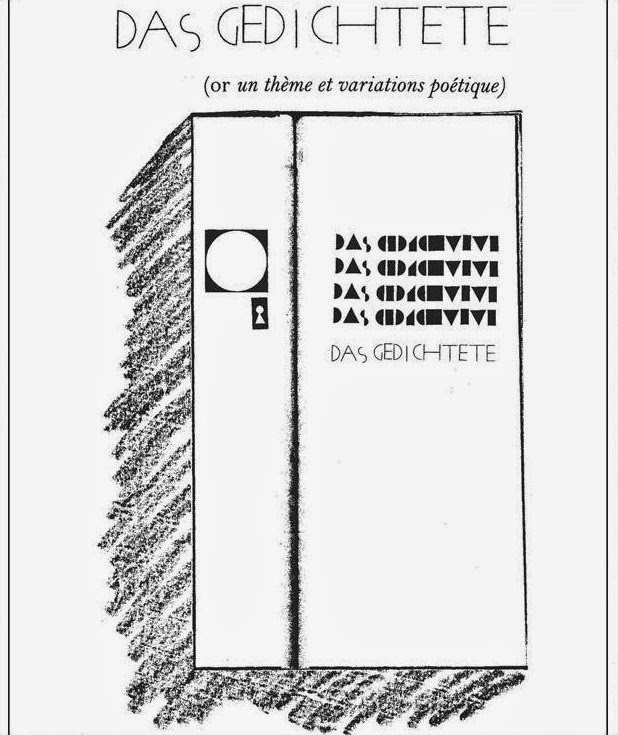 Das Gedichtete'sfocal point is an untitled meditation spread over four pages with three stanzas spaced on each page. This poem finds resonances with metaphysical and transcendental poetry of previous centuries. The poem's structure, spaces crackling between stanzas like short wave static, adds to the sense that these words are coming from a long way back. Dunagan takes the reader from the deep past of creation through mythological 'realms of enchantment' towards the rhythms of the city. His writing strives to hold the now of urban living in tension with our place in the galaxy, thinking universally in order to act locally, even if a 'harmonic resonance / left unresolved' is virtually guaranteed. At his best, Dunagan manages to sound like he is somewhere between George Herbert praying and a public service radio newsreader. Where Das Gedichtete is weaker is in dealing with that in the world which does not conform to its own ideals and aesthetics. The most glaring example is when Dunagan rails against 'Endless uniformity of pop songs.' Spending time highlighting what is not Das Gedichtete only creates a loss of focus and momentum.